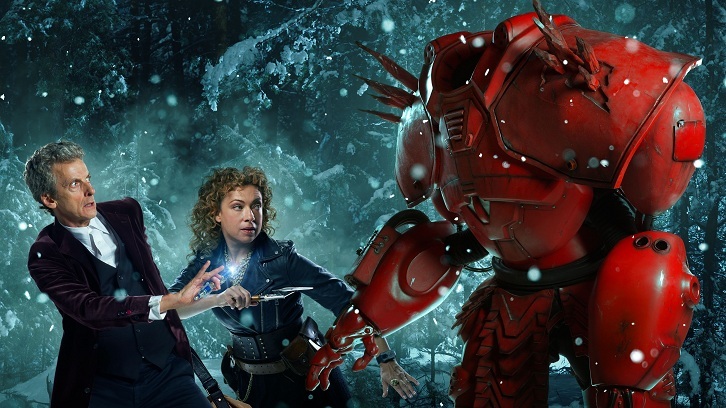 This year's Christmas episode is called The Husbands of River Song and sees the Doctor (Peter Capaldi) hiding away from the seasonal festivities on a remote human colony, when a crashed spaceship suddenly calls upon him for help. He is recruited by his wife, River Song (Alex Kingston), and before long finds himself being chased across the galaxy by a furious King Hydroflax (Greg Davies) and his giant Robot bodyguard. Will Nardole (Matt Lucas) survive? And when will River Song work out who the Doctor is?